Do you ever wonder what’s holding you back from the life you want? The book Dianetics: The Modern Science of Mental Health by L. Ron Hubbard reveals the previously unknown part of your mind that stores away your past painful experiences and uses them against you today. It is the source of unreasonable fears, insecurities, irrational behavior and chronic problems. Visit your nearest Church of Scientology to find out more about Dianetics services. 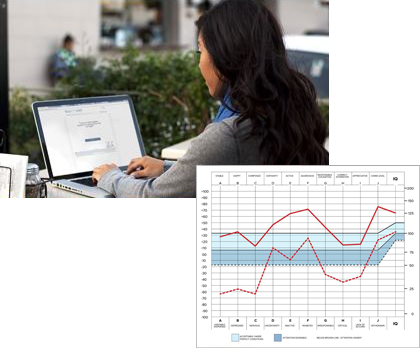 Discover how your personality is influencing your potential. There are 10 key personality traits that determine compatibility. Discover what aspects of your personalities are contributing to a strong and happy relationship, and uncover areas that can be improved. The test and consultation are free—there is no obligation. The test takes about an hour and includes a free consultation based on your test results. The landmark book presents L. Ron Hubbard’s discovery of the reactive mind that underlies and enslaves Man. It’s the source of nightmares, unreasonable fears, upsets and insecurity. And here is the way to get rid of it and achieve the long sought goal of Clear. 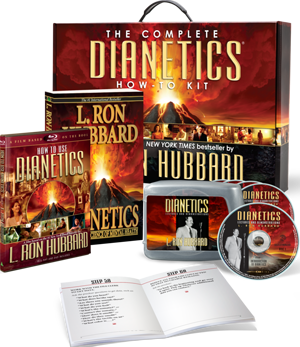 This is the complete handbook of Dianetics procedure and, with it, any two reasonably intelligent people can break the chains that have held them prisoner to the upsets and trauma of the past. A bestseller for more than half a century and with tens of millions of copies in print, translated in more than fifty languages and used in more than 100 countries of Earth, Dianetics is indisputably the most widely read and influential book about the human mind ever written.